What happened to your whole hand? You have two eyes, yet you see only one image of your environment. If your eyes receive conflicting information, what does your brain do? Roll the sheet of paper lengthwise into a tube 11 inches (28 cm) long and about 1/2 inch (1.25 cm) in diameter. Use tape to keep it from unrolling. Take the tube in your right hand. Hold it up to your right eye and look through the tube, keeping both eyes open. You should be able to see the inside of the tube as well as what's around the tube. 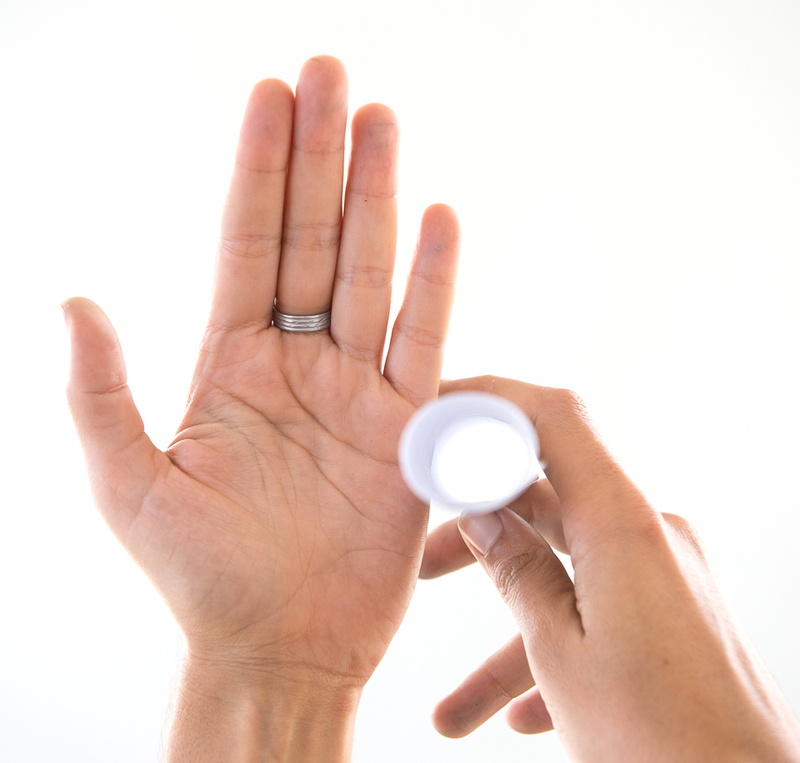 Now place your left hand, fingers pointing up and palm facing you, against the left side of the tube, about halfway down (click to enlarge the diagram below). Notice that your hand appears to have a hole in it. Try switching your hands and your eyes. Hold the tube in your left hand, up to your left eye, and bring your right palm up against the tube, keeping both eyes open. One of your eyes sees a hole, the other sees a hand. 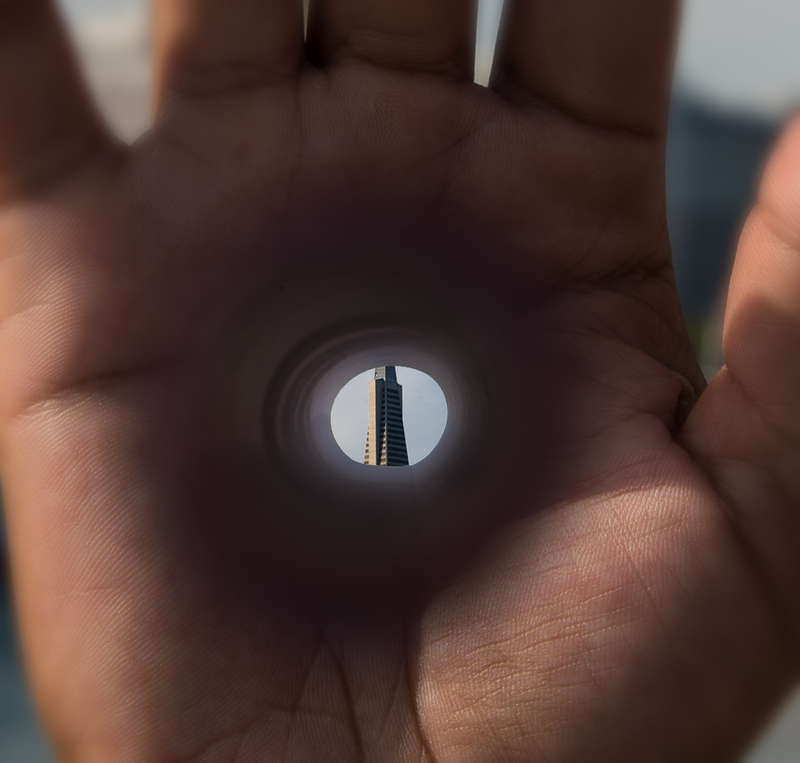 Your eyes and brain add the two images together, creating a hand with a hole in it! Some people find that this effect is stronger with one eye compared to the other. That's because one eye is likely dominant, which means your brain has a slight preference for visual information from that eye over the other. This is similar to being left- or right-handed, although your eye and hand preference don't necessarily match! Make a bright spot brighter. Which is in control, your eyes or your brain?